The brake switch have finally given up and my brake lights have started sticking on intermittently. The brake switch is the original one and was pretty rusty, so it wasn't a surprise it had stopped functioning. 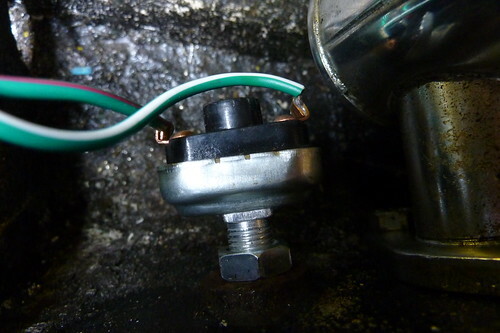 Taking the switch off is simple and a quick inspection showed the problem was down to the small piston sticking. The new switch came complete with wires soldered on and bullet connectors, so it was a quick fix to swap the switches out and adjust the setting.